This was a fascinating tale about Joel, a struggling artist who’s been forced to pick up the pieces of his boss’s financial problems, and Kjartan, an elven prince fleeing to Earth to save his life. When Joel finds Kjartan injured and unconscious near his home, he takes Kjartan in and cares for him. That is until Kjartan awakens and almost kills Joel for touching him. What follows is a slow-forming fondness between a haughty elven prince and a kind-hearted human while they try to stay alive fighting against a very deadly loan shark and Kjartan’s crazy brother who fancies assassinations. It was hard for me to finally immerse myself in this story. One reason for that is because of Kjartan. I didn’t really like him in the beginning. He’s a pompous, arrogant prince that has no concept of what is considered grotesque or wrong. He creates disturbing creatures that have no right to be made. As the story progresses, though, you realize who Kjartan is in Vagar, is just a facade. More than anything he wants to be loved and cherished and that’s exactly what Joel gives him without demanding anything in return. From the beginning Joel is a sweet, kind man. You might see him as naive and innocent but, in fact, he’s experienced how horrible people can be but doesn’t let that get him down. He’s strong and sincere but knows wrong from right and refuses to just sit back and let something wrong happen when he knows he can change it. 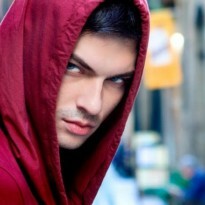 I LOVED Joel but more than anything I loved what Joel does to Kjartan. He makes the usually conceited prince mellow and opened Kjartan’s eyes to what love is. It’s sweet in a way but also interesting to see the transformation that Kjartan goes through just by being around Joel for a short time. It’s lovely and made me eventually love Kjartan, too! One thing this story has, that I wasn’t expecting, was action. When Kjartan fled Vagar, it meant his brother, Tyrnir, would eventually find him and try to assassinate him to become King. While Kjartan doesn’t want to be King, he also doesn’t want to die, which is why he flees for his life. I liked the mix of Kjartan’s problems and Joel’s problems and how they eventually merge. More than that, I liked Kjartan’s world and how unique and gruesome it is. It’s vastly different than Earth, made up of a kingdom that values emotionless and cold-hearted beings. It’s repulsive and disgusting but at the same time fascinating to experience Vagar and the creatures that inhabit it. There were a few issues I had with this story. My main issue being how much I struggled to get into it in the beginning. It took about a third of the story for me to really get invested. There were also times when there was too much purple prose for my taste to the point that I would get confused at what was trying to be conveyed. More than once, I was left scratching my head at what I just read. Then again, that could just be because Kjartan has a very regal upbringing that confused me at times. I’m not quite sure. Either way, it still left me wondering what in the world was trying to be said. All in all, I enjoyed the book once I got into it. I liked the world Ms. Beecroft created and how detailed it was. The characters were fascinating and had multiple layers to them that gave them a great amount of depth. The conflicts provided enough action and suspense to keep me reading and overall, the story was a delight to read. 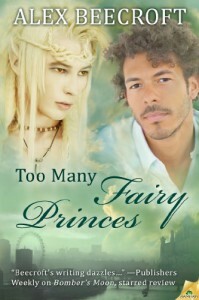 Definitely recommended for those who are fantasy fans who adore The Prince and the Pauper type stories.